The Department of Homeland Security collaborated with the FBI, Microsoft and Facebook to inform state and local government officials at a recent joint briefing about cybersecurity initiatives ahead of midterm elections. DHS said Saturday the event aimed to encourage public and private stakeholders to exchange information on efforts to safeguard election infrastructure against foreign interference. Christopher Krebs, undersecretary of DHS’ national protection and programs directorate, said the department works with multiple organizations in efforts to deter malicious cyber actors who attempt to influence electoral opinion or tamper with electoral results, invade high-security infrastructure or acquire intelligence from policymakers. 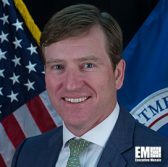 Michael McGarrity, acting executive assistant director of the FBI’s national security branch, urged companies to implement measures to secure business networks and platforms. Tom Burt, corporate vice president of customer security and trust at Microsoft, called for government-industry collaboration to defend the country’s democracy.